Dietrich Fischer-Dieskau was the most celebrated performer of Schubert’s great song cycles throughout the second half of the 20th century. 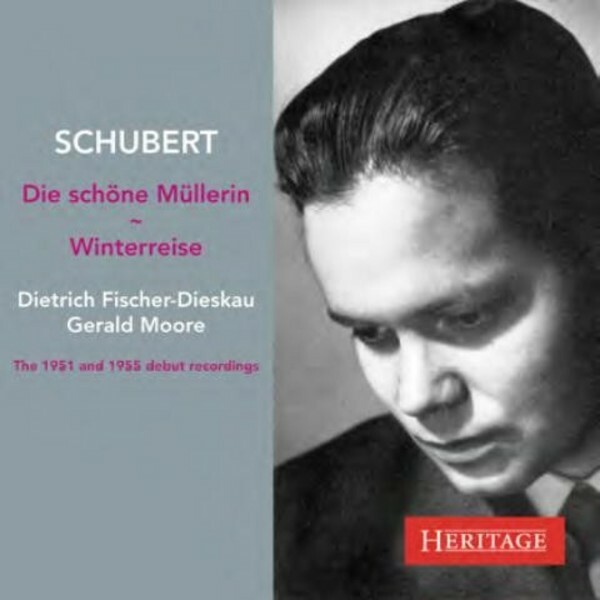 The recordings presented here were his first of each work, 'Die schöne Müllerin' recorded in 1951, 'Winterreise' in 1955. Fischer-Dieskau was 26 in 1951 and 30 in 1955, and so made these recordings at the same age that the composer wrote them. His approach is relatively straightforward in sentiment but the performances are filled with subtleties of nuance and inflection. There is a spontaneity and freshness we hear in the 1950s which is absent in his later recordings. These versions, therefore, represent the first steps in the singer’s own personal journey with the two works that would continue for another 40 years, until his final recordings of 'Winterreise' in 1990 and 'Die schöne Müllerin' in 1991.